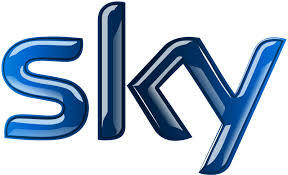 Sky and Sony Pictures Television today announced their first ever multi-year pan-European movies agreement, covering Sky’s subscription and transactional movie services in the UK, Ireland, Germany, Austria and Italy. The deal comprises all new and future Sony releases, including for the first time any UHD productions. It means millions of customers of Sky’s subscription movie services in Europe – Sky Movies, Sky Cinema and Sky Film – will be able to watch all the latest Sony blockbusters over a year ahead of any other subscription service and only a few months after they have been released in cinemas. They will be able to watch the films whenever and wherever they want on any mobile and tablet device including through Europe’s biggest mobile TV service, Sky Go. The wide-ranging agreement is the first multi-territory deal with a major Hollywood movie studio that Sky has negotiated. Previously, Sky and Sony Pictures Television negotiated agreements on a territory-by-territory basis. Although the deal covers multiple territories, Sky and Sony Pictures Television say that they will "continue to deliver films in a way that preserves the local characteristics of each market and best meets the needs of Sky customers in each individual country". As a result of the agreement, Sky customers will be able to see films including Angry Birds, Money Monster and Inferno. As well as all the latest blockbusters, Sky customers can enjoy an expanded on demand library with hundreds of classic films ranging from Lawrence of Arabia, Philadelphia and Close Encounters of the Third Kind to major franchises such as Men in Black and The Karate Kid.